2017 was such an incredible year of growth for me, both as a photographer and a mother. Luna was born at the end of 2016, so I went into 2017 feeling all kinds of emotions - in awe of this tiny human being I created with my body, and equally terrified of this tiny human who came out of me kicking, screaming and demanding our undivided attention. The positives: I thought my cup was pretty full before she was born, but when she arrived I was overflowing with love I didn't even know I had. I'm still smitten by her, and she's a snotty, sassy, strong-willed 13 month old. The negatives: long gone are the days when I could send an email and not be interrupted 87 times. Long gone are the days when I could "wing" things like dinner, going to gym, meeting friends for happy hour, basically everything. But, like billions of parents before us, we have waved our white flag and we have adapted. The learning curve was steep, but we have grown because of it, and have experienced that unconditional love you've heard other parents ramble on about. In other words - worth it. Because of this, I cannot express enough how grateful I am to all of my couples this year, for knowing that I had an infant at home and being so wonderfully understanding about it. I pumped at every single wedding I photographed this year, sometimes 2-3 times, and not one of my brides even batted an eye lash when I mentioned that I had to. Talk about some amazing women. Some even kept me company and chatted with me, which I loved because a goal of mine as a wedding photographer is to try and make people feel comfortable about getting their photo taken, and sometimes that ends up evolving into a friendship. I honestly couldn't have asked for better year to have captured all these beautiful souls. This year brought so much change, and so much more love to document. I stayed closer to home, mostly because I couldn't bear to be away from Luna overnight (and really for lactating reasons my body couldn't either), and it was actually kind of nice. I captured couples in some amazing new spots right outside Denver that I didn't know existed (including an amazing destination elopement), and even though most weddings I shot this past year were close to home, I did sneak away for a weekend when Luna was a little older (many thanks to my own mama, who babysat!) to photograph a Cancun destination wedding! I've always known that Colorado is a magical place, but I get now why people come here to have a destination wedding (I mean, there is literally something for EVERYONE, there is even a small gambling town), or to elope, because the beauty is truly unparalleled. 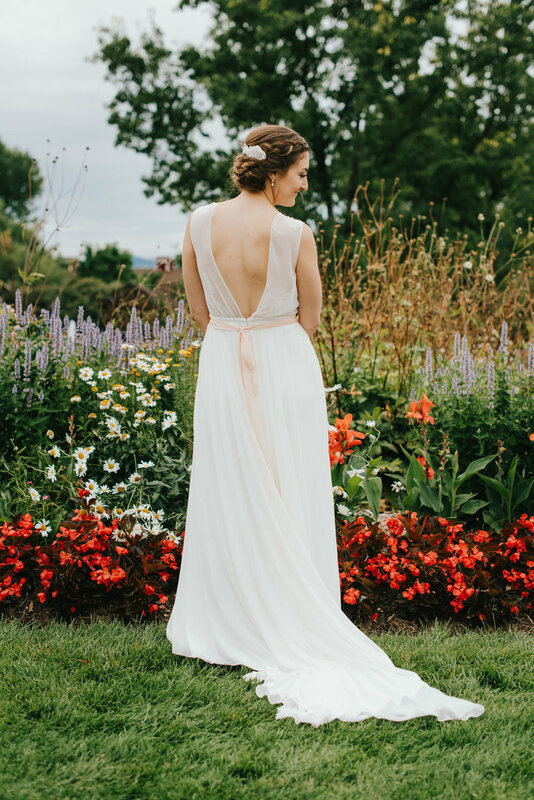 There are options for a gorgeous wedding on the top of a mountain, or for an intimate remote elopement in a beautiful valley. And for us Denver photogs, we get the best of both worlds - the most ambitious of us can photograph a city sunrise engagement session and a sunset mountain elopement, all in the same day! 2017 was wonderful, and if you're intrigued, I've included some of my favorite places that I shot at at the end of this post. Cheers!